We offer lessons to EVERYONE. Beginner (All Ages) to Advanced "A" Circuit Riders welcomed. Our riding lesson program is tailored for each student to match their riding level, ability and personality. 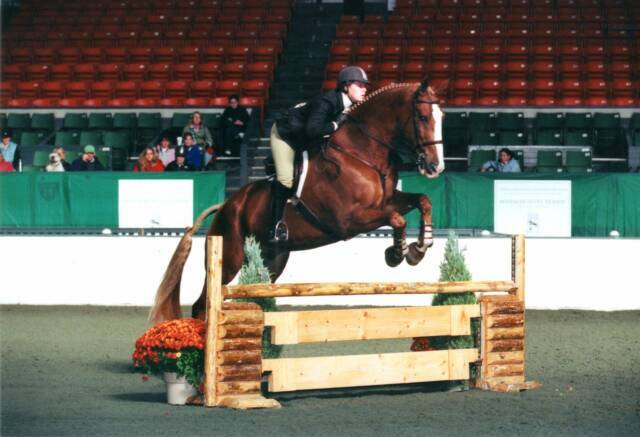 Our school horses are former hunter/jumper/equitation show horses that know their job. We teach private lessons and group lessons. Individual attention and safety are a priority. Thus, our group lessons are kept small. If you want to get results, be safe, and have fun this is the place for you. In this economy we offer special lesson packages so everyone can enjoy riding. Give us a call. 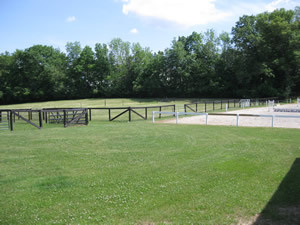 We will tailor a lesson program that is appropriate for your goals as well as your level of riding. Please call to discuss the best options for you and your horse. 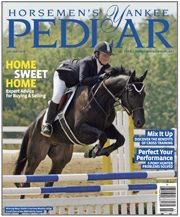 Your Child's Top 5 Pony Hunter Training Problems Solved"